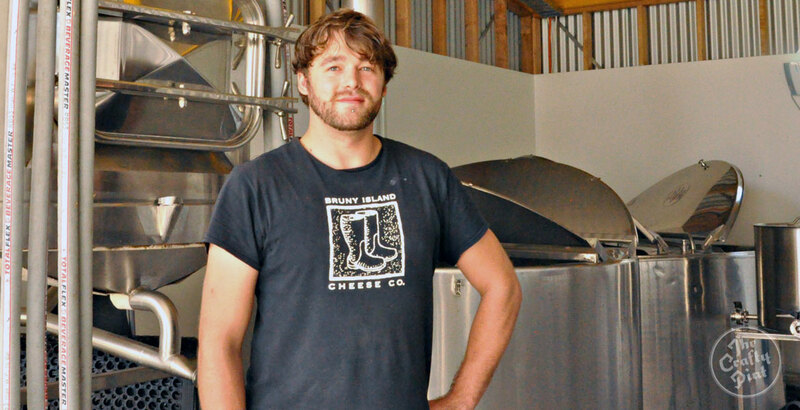 Former Moo Brew and Seven Sheds brewer and Lark Distillery whisky maker Evan Hunter has returned to brewing at the helm of a new venture from the Bruny Island Cheese Co’s Nick Haddow. The pair has launched the Bruny Island Beer Co, which has been selling beer since late February at its cellar door and is due to launch officially in Hobart next month. With the brewery’s rustic location comes an old school approach to brewing: all Bruny Island beers will be open fermented, naturally bottle conditioned, preservative free and feature as many local products as possible. The first release from the new brewery is the Farm Ale, made entirely with Tasmanian ingredients. The grains include Tasmanian grown and malted Westminster barley, Kindred Organics oats from the North West coast and Bruny Island red wheat. The hops chosen are Ella and Cascade from Bushy Park and the water is Bruny Island rain and spring water. 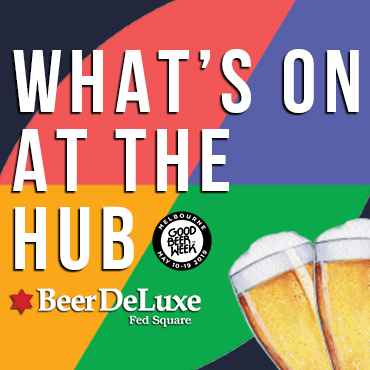 Already it’s been selling well on the handful of taps it’s reached in Hobart – the New Sydney, TQ on Elizabeth and the Republic Bar – as well as through the cellar door at Great Bay. The label for each beer he brews will also come with a paired cheese listed on it – for the Farm Ale they recommend 1792, which is a soft, pungent cow's milk cheese. “Beer and cheese are a great combination,” he says. 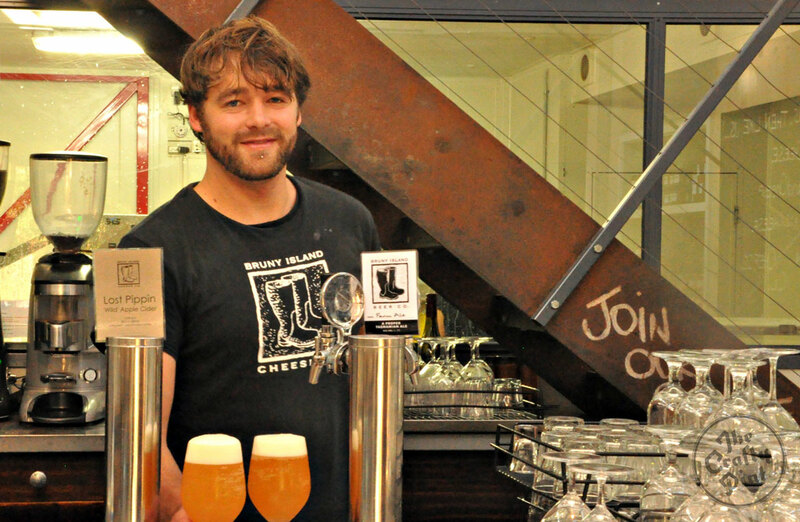 “The way I approach making the beer is very similar to the way Nick makes the cheese. It’s very authentic and flavour driven, and there is a real focus on place. In addition to the Farm Ale, the other core products from Bruny Island Beer Co will include Oxymoron, described as a medium bodied dark pale ale or pale dark ale, Honey Child, a strong, aromatic ale brewed with local leatherwood honey, and Lighthouse Ale, which is a low alcohol (2.8 percent ABV) amber ale. According to Evan, the Lighthouse Ale was conceived with the location of the brewery in mind. Evan Hunter at the Bruny Island Beer Co bar. Longer term readers of The Crafty Pint and followers of the beer scene in Tasmania will recall that, as well as previous work at Moo, Seven Sheds and Lark, in 2013 Evan attempted to crowd-fund a brewing company to be called Brew Nouveau. He met his funding target and, while Brew Nouveau hasn’t yet materialised, it was coverage of this project that caught Nick Haddow’s attention. When the two met to discuss the possibility of producing alcohol at the Bruny Island Cheese Co, they discovered a strong connection in terms of their ideas and products and were subsequently awarded an AusIndustry grant which has helped get the brewery up and running. “It has been a very long process,” says Evan. “It’s been really good being involved from the very start and building the brewery from scratch, but bringing in the equipment and working through all the regulations has taken a while. After two years of planning and construction, brewing finally started in early February. “I thought the hardest part was done when the brewery was actually built, but actually it was just beginning,” he says. There are plans to work on the brewery site in the months and years ahead – planting hops, adding a pathway and eventually allowing small tours. But, for the immediate future, the focus will remain firmly trained on what both the Bruny Island Cheese Co and the Bruny Island Beer Co do best: pursuing integrity, authenticity and great flavour through beer and cheese. Bruny Island Brewing Co is at 1807 Main Road, Great Bay, Bruny Island, Tasmania. About the author: Ruth Dawkins is a writer who comes from a tiny island in the north of Scotland. Two years ago she moved to Tasmania, where the cold winters, beautiful light and generous measures of whisky make her feel very much at home. She tweets and blogs as DorkyMum.